In the current economic climate investors are firmly focussed on the value of income investing and the benefits of companies with strong dividend disciplines. Against this backdrop the challenge is therefore finding proven income managers who will not only continue to deliver returns but also offer diversification benefits within a clients portfolio. 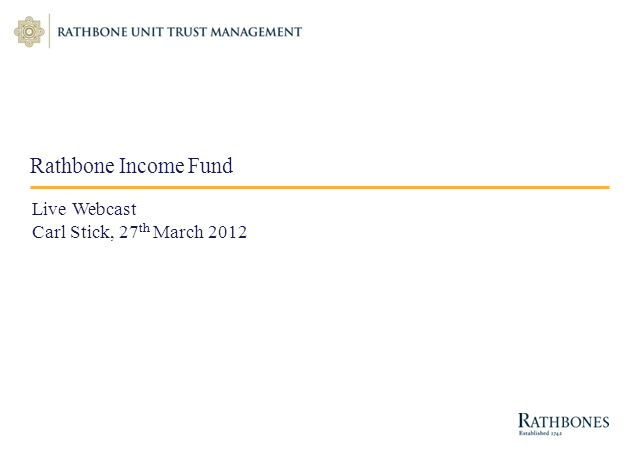 To hear the views of one such manager we invite you to register for the Rathbone Income Fund live webcast. Carl Stick is one of the UK's most long standing and proven Equity Income Fund Managers with a distinctive style and approach that continues to deliver market leading returns.